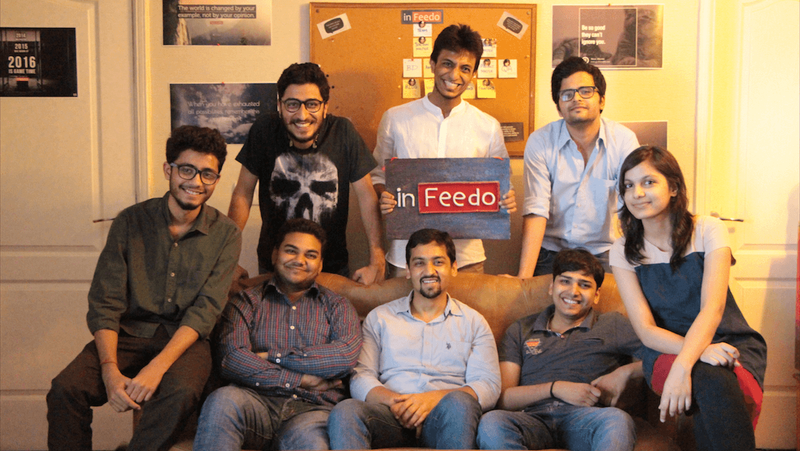 3 years ago, Tanmaya Jain and his college roommate Varun Puri embarked upon a journey to make the average employee felt valued, with their employee engagement platform, inFeedo. After bootstrapping over a year on client revenue, today they have raised an undisclosed amount in an angel round led by managing partner at Redcliffe Capital, a UK-based hedge fund. This $150,000 round was led by Dheeraj and preceded by Palash Jain, Ex-Head of Google India Core Operations. inFeedo is in conversations with relevant angels and HNIs having a strong background in the HR-Tech space to complete the remaining round in the month of September. “inFeedo is the next disruption, having aligned itself perfectly with the global shift towards people management. We have heard stellar feedback from their clients on how they have arrested attrition and helped boost employee productivity. It’s efficient SaaS model will enable them manage culture in organizations across the globe!” said Dheeraj, Managing Partner, Redcliffe Capital. inFeedo’s new AI chatbot “Amber” has been an instant hit with HR heads at geographically distributed companies like MakeMyTrip, Lava Mobile, Knowlarity, RedBus and Nearbuy. Built purely on client feedback, this bot can now automatically talk to employees at specific intervals in their lifecycle and based on their chats, auto-generate Culture Reports for HR leaders to proactively meet those who’re unhappy, facing troubles or about to leave. “If HR and Data Science were to marry, inFeedo would be the baby. It’s been a real emotional roller coaster ride, watching our baby grow up into a platform that can engage 5500+ employees, generate 1000+ ideas, host 10+ anonymous townhalls and predict attrition in ways that are humanly impossible”, said Tanmaya, Founder, inFeedo. 21 year old, Tanmaya has been growing inFeedo’s paid user base at the rate of 53% QoQ and is cashflow positive, with an unusual team that includes a college dropout from St. Xavier’s, an in-house data scientist and an aspiring psychologist who spent 15 months in Antarctica. “They are a very creative set of youngsters who are youngsters in terms of age but when it comes to their conversation, discussion and point of view, they can beat any senior guy 30/30+ with their logic”, said Yuvaraj Srivastava, CHRO, MakeMyTrip. With less than 10 team members, this team surfed the recent huge waves of “startups surge/downturn” and emerged profitable by keeping cost of operations at bare minimum. By end of 2016, inFeedo aims to touch more than 10,000 paid users and is looking to partner with more B2B HR companies as it scales. A Growing Market. With the rising adoption of technology by HR, SMB SaaS is expected to grow to $76 billion in 2020 and India is expected to capture eight percent of this market. inFeedo is raising this round to meet this growing demand, scale across international waters and hire talent that can build upon Amber, their chatbot’s machine learning, natural language processing and predictive analytics capabilities. Building a national digital empire with Reliance Jio’s big data push?